Internationally renowned Venetian master glass blower Davide Penso and Canadians Karina Geuvin and Cedric Ginart will light up their torches at The Range @ Curlewis to blow and sculpt pieces of spectacular glass art. Karina and Cedric are glass goblet makers extraordinaire and have shared how they make their glass goblets internationally through teaching and performance. It will be their first time to Australia and your chance to see how their stunning goblets come to life in the torch. There will be individual performances by Davide, Karina and Cedric will perfom together and then the final performance of the evening will be led by Davide. There will be a commentary by a local glass artist explaining what they are doing as they blow and sculpt the glass. Three large screens will show their torch work and glass sculpting close-up. This is a fantastic opportunity to meet three talented and charming international glass artists and watch them work, while enjoying wonderful food and wine from the Bellarine Peninsula. 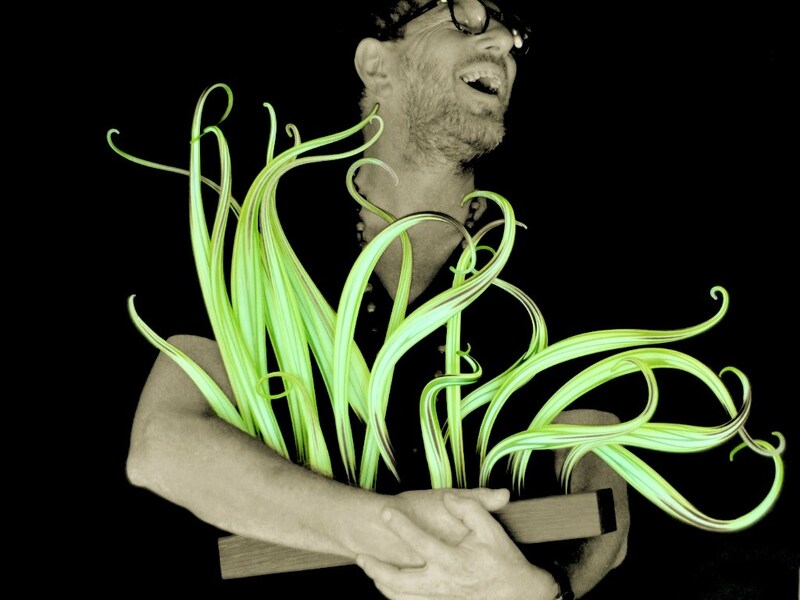 One of Davide's unique and highly collectable seaweed sculptures will be the major prize in a limited ticket raffle and their will be door prizes on the night. "Twilight Flames" is part of the annual Festival of Glass, held in the Drysdale area during February. The next day (Sunday 17th February 2019) sees the Festival of Glass Expo at Christian College, Drysdale, featuring displays by 40+ glass artists and craftspeople, demonstrations of glass working techniques, the Glass Art Awards and much more. Yes you can transfer your ticket to someone else.